Predictive analysis lets companies understand user preferences and make recommendations based on that data. Netflix uses this to recommend shows and Amazon uses it to recommend products. As a marketer, if you can develop a set of data points that let's you guide users to a specific product or service that is very powerful. Make solving a users' problem easy for them. According to Business Insider, by the year 2020 it is projected that 85% of customer interactions will happen without need of a human. Deep Learning through Artificial Intelligence allows computers to more accurately identify user behavior and predict which segments are more likely to become customers. Programs can provide specific information related to which leads will probably convert, allowing marketers to target their efforts based on detailed demographics - without wasting time on less probable leads. This includes identifying possible potential customers based on data like purchase demographics, location, purchase history, etc. It also includes tracking and customer data with the products themselves. Under Armour recently made use of IBM’s Watson to combine their own customer data with third-party information to create a personalized health and fitness tracking app called “Record" for example. Simple, unsophisticated Chatbots can sometimes make it obvious that there is no human on the other end. This can make certain people (especially those of older generations) very uncomfortable. Chatbots should be used with care based on your target audience and supported by a live human as often as possible. Similarly, if you have ever dialed an 800 customer service number and pressed 1, 2 or 3 to speak to a robot, you know how frustrating that can be. Science Fiction offers many scenarios where technology takes away all of the human jobs, and robots take over the world. The good news for us is that humans will always be necessary when it comes to marketing jobs. Computers can’t change their minds, make creative decisions, or use their imaginations. Creativity and cultural reference will be sorely lacking if your company only uses AI for content creation. 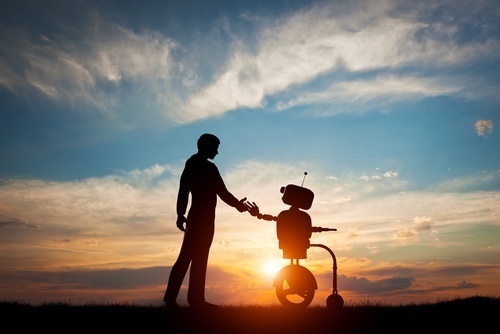 Artificial Intelligence may offer certain solutions and efficiencies but, ultimately, humans are still the epicenter of the marketing world. It’s hard to imagine that a computer could be wrong! And mathematically or formulaically they might always be “right" but humans are comprised of so much more than simply formulas and statistics. Humans are unique and have many varieties of tastes and preferences that cannot be dumbed down to a formula. The very thing that makes us human is the fact that we are constantly changing and growing, and there are always outliers. Entrepreneur Elon Musk has even suggested that AI should be regulated because the various threats it poses. Ultimately, AI must be implemented thoughtfully across your inbound marketing program. Understand how AI tactics will help you guide prospects to solving their pain points. Don't turn to AI because it's the hot new thing but rather because it will help you help your customers more efficiently and turn leads into customers quicker.